Your invitation to join us for our spectacular Christmas Showcase, this December at Pendrell Hall. Pendrell Hall Country House never looks more amazing and inviting than when it's all lit up for your winter wedding celebrations. 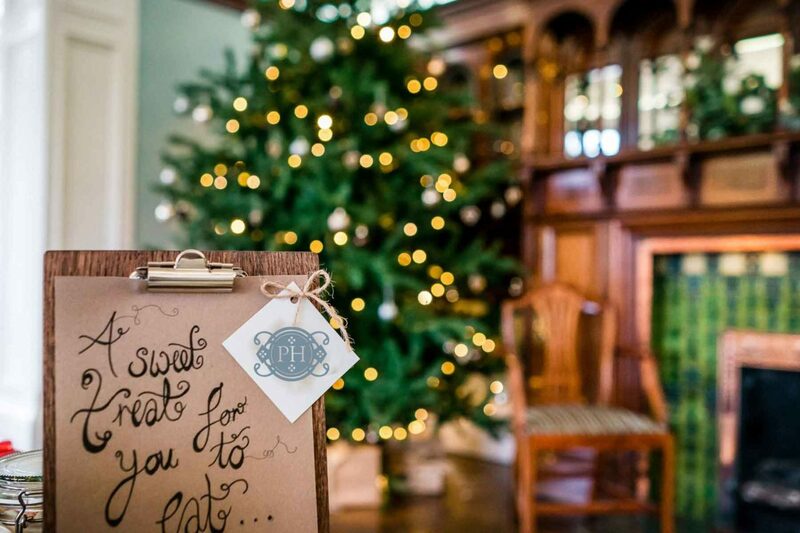 Arrange a visit to Pendrell Hall on Sunday 16th December for our Christmas Showcase and you'll get to see this amazing wedding venue all dressed up for the festive season. We've got two magnificent Christmas Trees inside Pendrell Hall, beautifully decorated to suit your winter wedding theme. It's also the perfect opportunity to appreciate the impact of all the magical outdoor lighting at Pendrell Hall. Our enchanting fairy lights, festoon lights and uplighters are on all year round but shine brightest in the winter months. You are unique. Your wedding will be like no other wedding. You deserve a wedding venue with the flexibility and willingness to offer you a completely bespoke service. You're one in a million, book a viewing and let's find out if we're your perfect match! There's magic in the air this time of year, come and visit Pendrell Hall and you can expect a warm welcome from one of our amazing Event Managers. We'll chat through your wedding day wish list, before giving you a guided tour around Pendrell Hall. You’ll get a real sense of how passionately we want to make your wedding day dreams come true. You’ll find out how to make the most of our no corkage drinks option and discover the amazing wedding food ideas on offer. Please be aware that viewings are strictly by appointment and it is not possible to view the onsite guest accommodation. Elizabeth & Jeremy embodied the Christmas Spirit at their fabulously festive Pendrell Hall Winter Wedding, last December. Faux fur and plenty of fizz were the order of the day with Jeremy looking particularly dapper in black tie. We wish them every happiness one year one and hope these stunning images of their day, captured by Cris Lowis Photography have inspired you.